When using LDAP Authentication in Bizagi, credentials entered in the login page (username, password and domain) are sent to an LDAP Server for verification. Once the server verifies and permits the access, login is successful as long as this user is already created in Bizagi. In this authentication, passwords are never stored in Bizagi. •Idle session time-out: Defines the time in minutes in which an idle session expires; in which case it would be required to authenticate again. This setting defines the expiration time for cookies. In case you wish to increment this time-out to more than 60 minutes (not recommended), bear in mind that you will need to edit the default settings at your web server (e.g, doing so directly at the IIS). •LDAP URL: Corresponds to the path to access the LDAP Server (using the LDAP URL format). 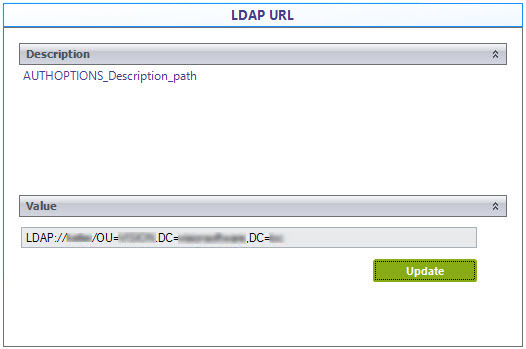 It is mandatory that you input LDAP://.. with the starting LDAP prefix in uppercase, capital letters. •Use settings in LDAP synchronization: Applies if you already have configured Bizagi to synchronize your Active Directory users into Bizagi. When this option is on, the value of the former option will be ignored. 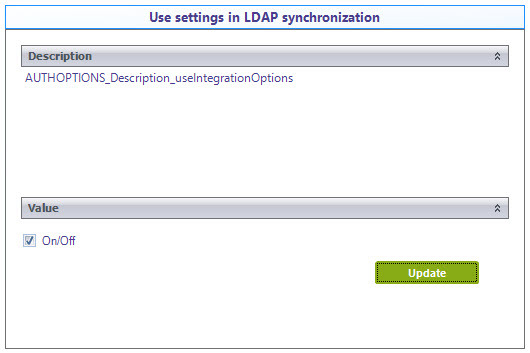 Windows Active Directory is supported as for LDAP authentication. Note that it is necessary that the Web site configuration at the Server (i.e IIS), uses Anonymous authentication for the Work Portal. For any type of authentication, you will need to make sure that users are created at Bizagi Work portal. Disregarding the selected Authentication type for your Work Portal login, you may choose to configure a schedule in Bizagi to import and synchronize users from your LDAP Server into Bizagi. For more information about this option, refer to Importing LDAP Users.